Arguably, the most important battles for economic liberty in the next four years will be between states and the government in Washington. The progressives in Washington want to consolidate power and money to feed the insatiable appetite of parasites in the USA and the world. Rex Sinquefield, the billionaire Bishop DuBourg alum who masquerades as a libertarian-ish Republican, lifted his mask this week to help Washington’s progressives steal Missouri’s autonomy and treasures. Rex donated $250,000 to Obama’s Lawyer Chris Koster. Republican candidate for Attorney General, Ed Martin, understands that a state’s attorney general looks out for the state’s sovereignty against all enemies—foreign and domestic. Ed also understands that the government in Washington is increasingly an enemy of the people and the interests of Missouri and other states. We have great police forces to protect us from common street criminals. But Missouri has had no protection from the federal government in recent years. Koster is simply a regional agent for Washington abuse of our people. 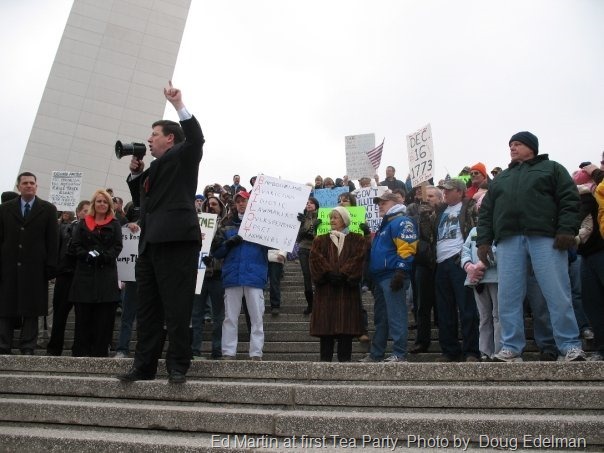 Ed Martin will be our general in the war against Washington authoritarianism. Rex Sinquefield’s billions came from his genius in finance and markets. That genius clearly stops at the spreadsheet’s edge. By supporting a big government paper pusher like Koster, Rex works against his stated interest in liberty. That makes Rex either a political ignoramus or a liar.